Contact us for a quote on your next purchase. We offer special savings for our class customers. 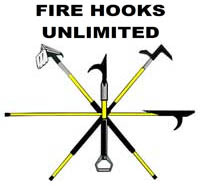 10-75 Training, LLC is committed to providing the best training possible for Forcible Entry. It's all we do. We offer both Conventional and Through-the-Lock programs that can be geared towards novices all the way up to advanced limited visibility and close quarter scenarios and anything in between. We can tailor our programs to work best for you and what you are trying to accomplish. We use only the best training props money can buy and are dedicated to providing the most realistic training possible. All our programs are hands on. No sitting in a dark classroom watching movies and PowerPoint presentations. No paper hand outs. Participants will remain focused and motivated because they will be seeing things in person. They wont watch a video of a tactic. They will see it performed right in front of them and then they will perform it themselves. Our instructors will make sure that these proven tactics can be performed safely, effectively and with confidence. Any questions or concerns can be addressed on the spot in a controlled environment. Not when lives are at stake. The time to realize your Forcible Entry skills are lacking is not when you need them most. We can not only tailor our classes to meet your training needs, but your time needs as well. Half day classes, all day classes, night classes, weekend classes, whatever you need, we can accommodate you. Are you a full time department that works in different groups each day? We can set up a multi-day program to give the same training to each group each day until the entire department is trained. No need to try and call everyone back for a one day program. Contact us to discuss class options that work best for you.